Spring is just around the corner and it will be full of sunny days, flowers blooming, the smell of fresh cut grass, and ASPARAGUS!!! Here in the midwest, asparagus has a short growing season in the spring that lasts about a month or two. During that time I take advantage of the low prices in the grocery store and eat as many spears as I can! 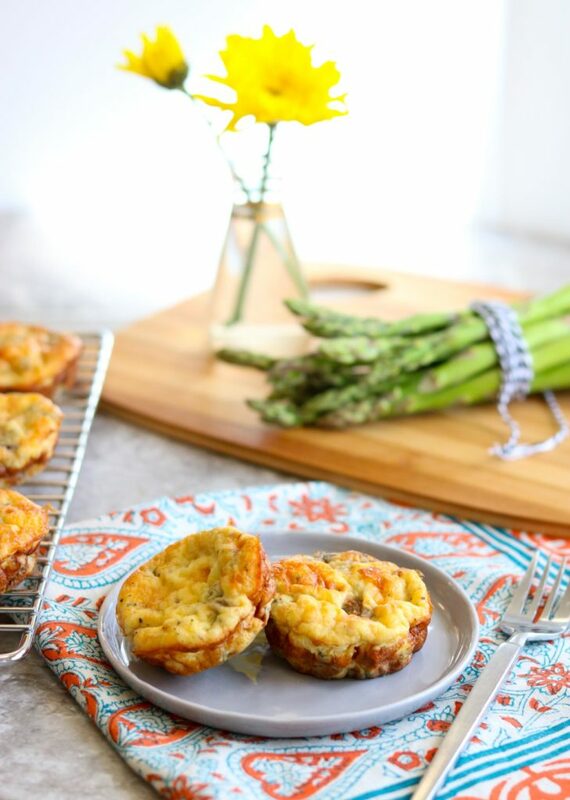 This recipe for Spring Egg Cups is a great way to use up some of that inexpensive asparagus you can score in the spring. 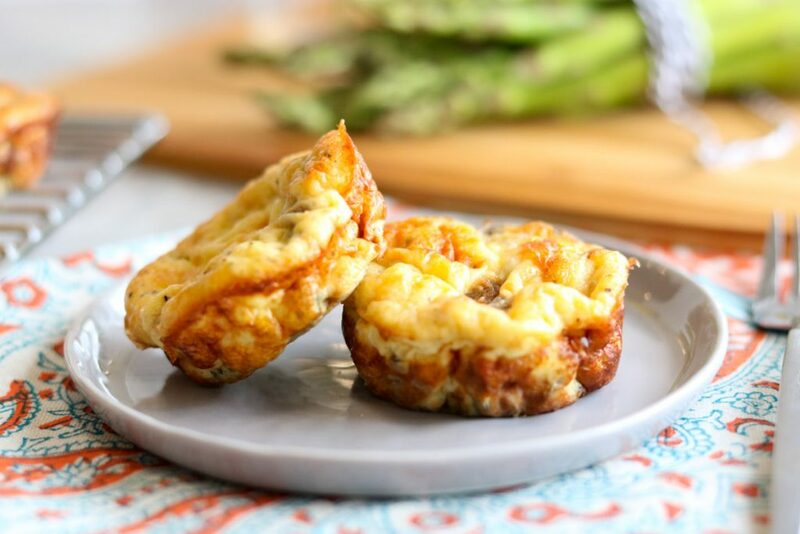 They are a light and savory egg muffin full of asparagus, fennel seed, onions, parmesan cheese and mushrooms. They are easy to make and cook up quickly. You can even make them ahead for easier breakfast or brunch prep. I like to plan these for busy weekends when we have guests staying at our house. 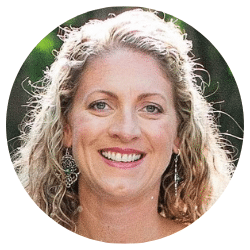 They are super easy to make a few days ahead, before guests arrive. Then, during the weekend, I can pop them in the oven to reheat for 15 minutes. I like to set out some store bought pastries, and a fresh fruit bowl with some vanilla yogurt and granola. Nothing fancy or difficult, but it is filling and looks great. The only thing left to do is brew some coffee and relax. If you are entertaining a large group for breakfast or brunch you could also make an assortment of egg cups. Try my other two recipes here: Ham & Kale Egg Cups and Sausage Egg Cups. Now just because these are normally a breakfast item doesn’t mean you can’t throw them together for dinner. We have definitely been known to enjoy breakfast for dinner at our house. 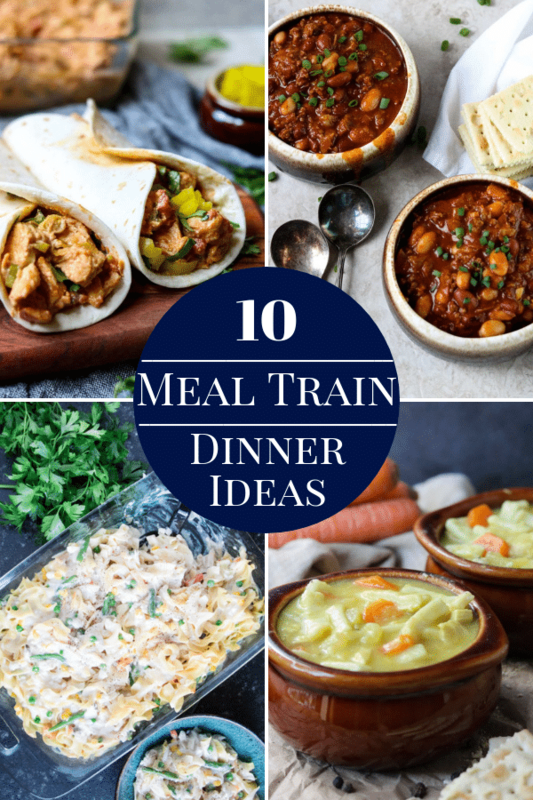 Not to mention if you are having a busy week you can make these over the weekend and have them in the fridge for a quick weeknight dinner. For dinner I would serve these egg cups with pancakes and sausage, and maybe a side of fresh fruit. They would also be great with bacon and hashbrowns. Add cooked breakfast sausage for a little extra protein. Sliced or crumbled would work. Get in your greens by adding fresh spinach. Wilt the spinach with the onions and asparagus before adding it to the egg cups. Use the cheese that you have on hand. I usually have parmesan cheese in my fridge, so it is my go-to. But, if you have gruyere, gouda, romano, or sharp cheddar, just use what you have! Peppers, zucchini, or tomatoes would make great veggie substitutes if you don’t like mushrooms or asparagus. 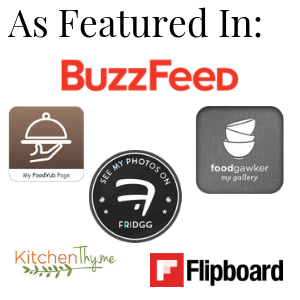 Nothing makes me happier than people telling me they made AND LOVED one of my recipes! Don’t be shy… if you make this recipe for Spring Egg Cups let a sista’ know! 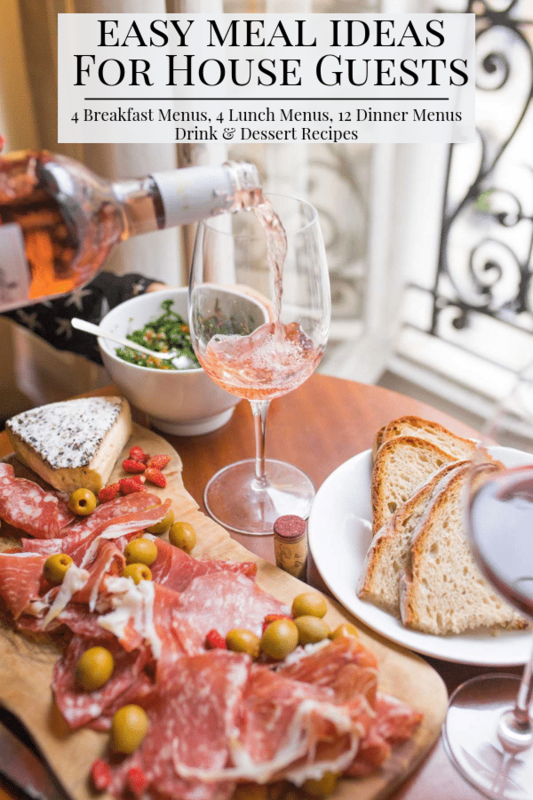 Comment on this recipe below or drop me a line. If it turns out all extra special and you post a lovely picture to social media, tag me @momsdinnerinsta on Instagram or @momsdinner on Facebook. You can also just hashtag it #momsdinner, and I’ll find you. I hope you give this recipe for Spring Egg Cups a try in your kitchen. 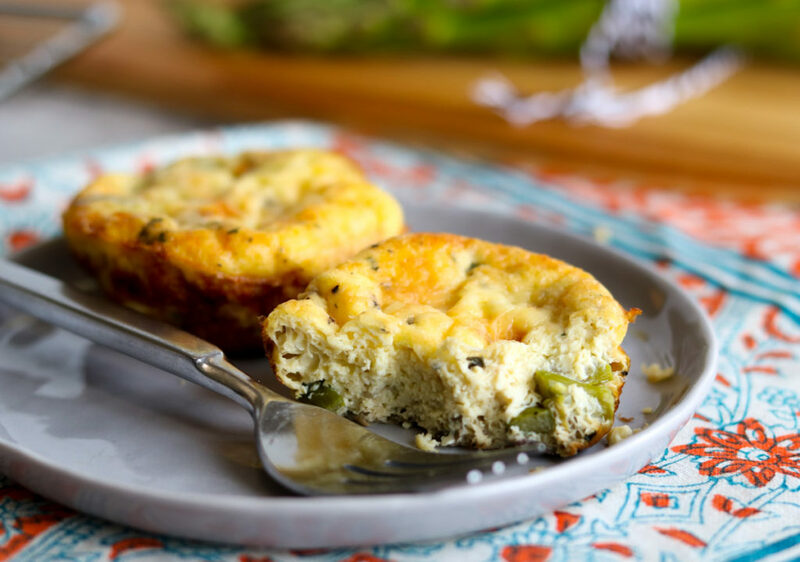 Spring Egg Cups are a tasty egg cup recipe full of veggies and herbs. 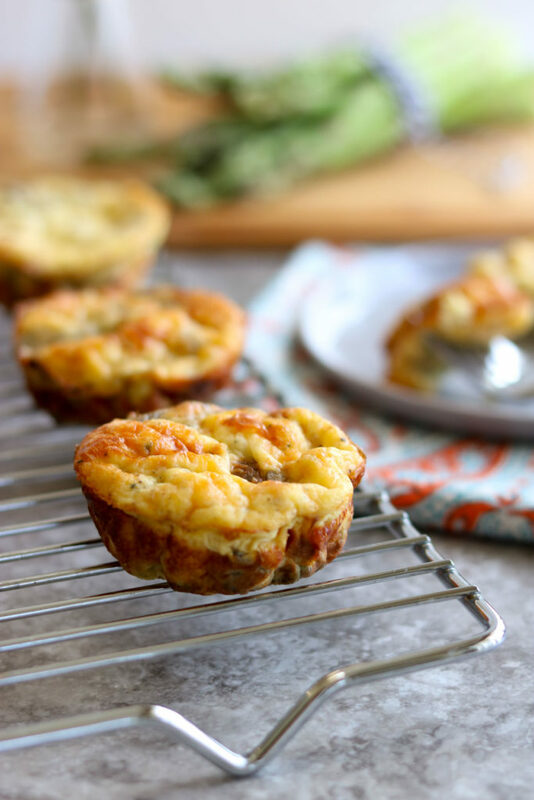 These egg muffins make a great breakfast on the go, brunch entree, or breakfast for dinner. 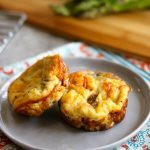 Spring Egg Cups can be made ahead and reheated for easy meal prep, or eaten right away. Preheat the oven to 350 and prepare a muffin tin with cooking spray. Add the oil to a large skillet, over medium heat, and saute the mushrooms, asparagus, yellow onion, and ½ teaspoon salt for 5 minutes. Add the green onions, basil, and fennel and saute an additional 2 minutes. Set aside and let cool. In a large bowl whisk together the eggs, milk, 1 teaspoon salt, and pepper until smooth and well combined. Divide the veggie mixture evenly between the muffin cups (should fill between 15-18 cups). 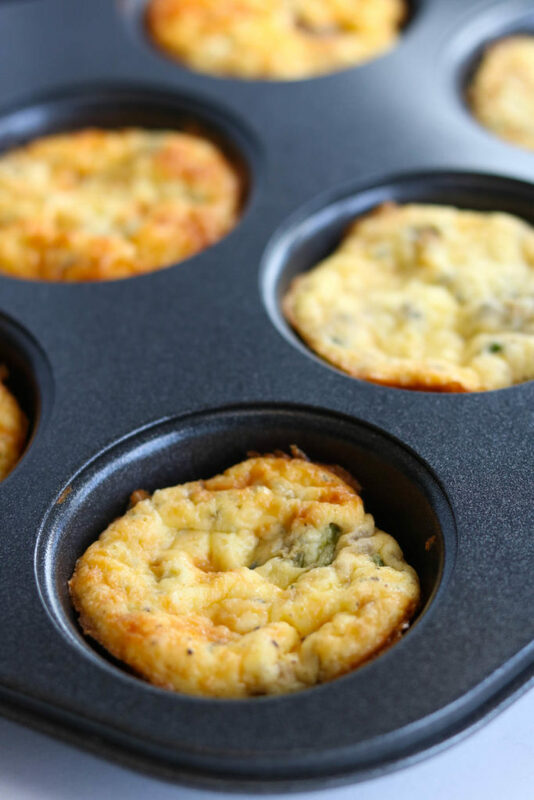 Top the veggies with the egg mixture to the top of the muffin cups. Top with the cheese and press it lightly into the eggs. Let the egg cups rest a few minutes before removing from the muffin tin. ** If they do not come out of the muffin cups easily, run a sharp knife around the edge of each cup. TO MAKE AHEAD: Prepare and bake the egg cups completely. Place in a 9x13 pan and cover with foil. Store in the fridge for up to 4 days. To reheat, place in a 350 oven, uncovered, for 15 minutes. These are so convenient. 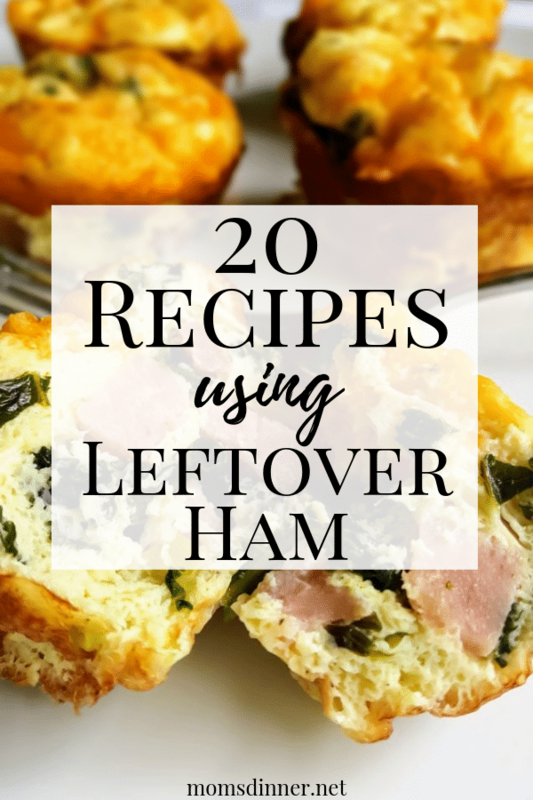 There aren’t usually left overs but if there were how easy to get a few, heat them up and eat!